The main objective of the architectural proposal is the composition of a unifying network of the cultural and historical fragments of the city of Kozani as part of its urban grid. 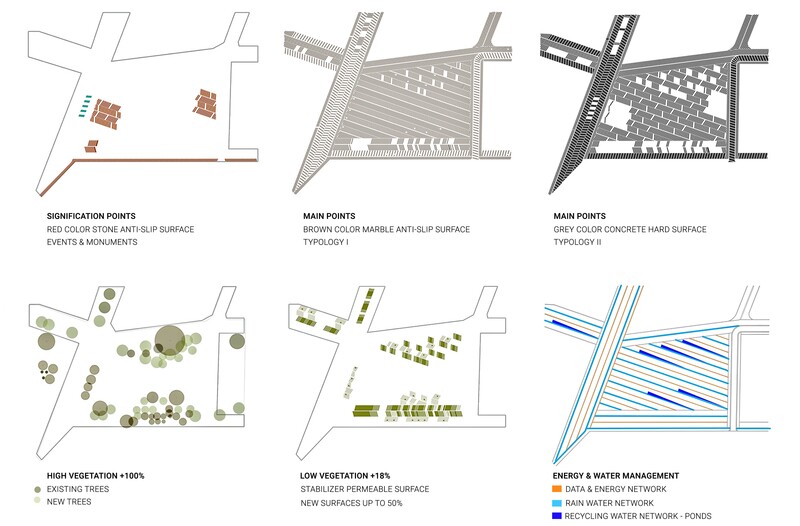 The proposal aims to render centrally located Nikis square as the main topological centre of the network, and to highlight it as the main point of reference of the whole city. In order to achieve this objective, the design incorporates a dynamic system of ground formation within the square which spreads through the labyrinthine structure of the city, connecting the historical remains, thus revealing the concept of place through the ambulatory experience within a modern urban setting. 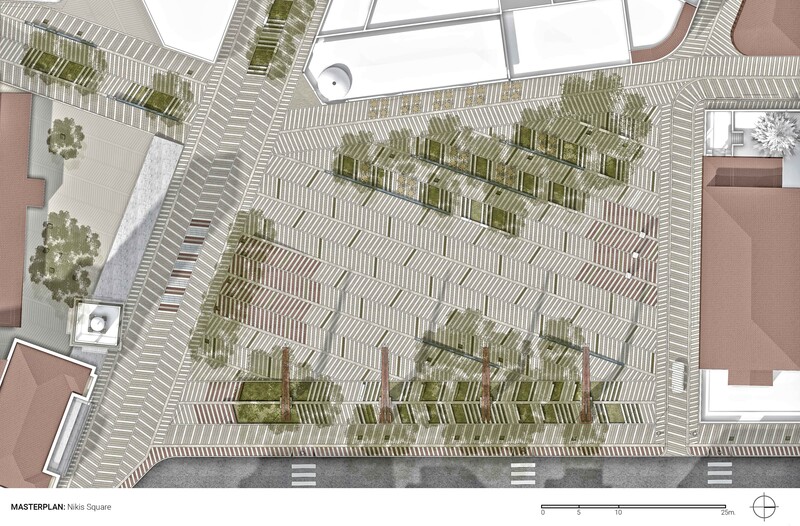 This involves a dynamic paving system, an "urban weaving" which aims to weave together the connections between the modern and ancient city, cultural relationships, functional and everyday relationships between the residents and their place of residence, interactive relationships. 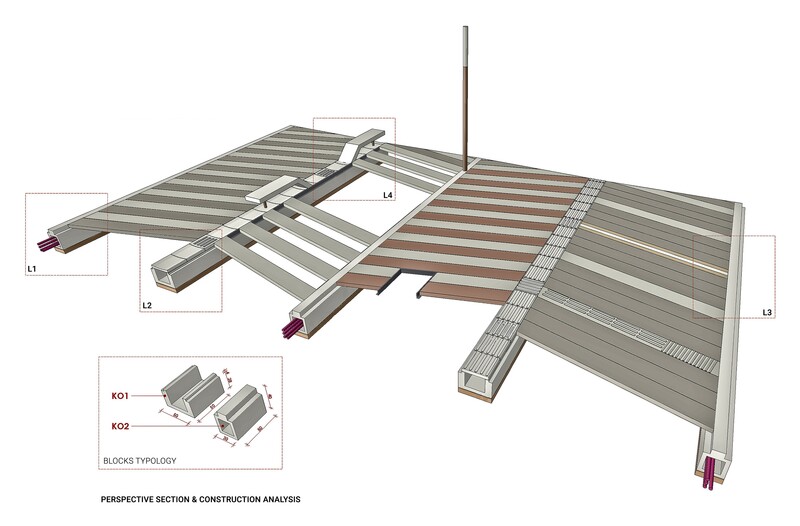 Urban weaving comprises a dynamic matrix receptor system, a skin embracing the natural relief of the ground, while administering the relationships between the secondary systems located on its surface.